Will The Next Great Saratoga Cocktail Be 9 Maple Avenue’s ‘Saratoga Rye Buck’? The Spa City bar offers up a twist on a classic horse-themed cocktail—with a kick—for its entry for the next great Saratoga cocktail. In our previous issue of saratoga living, Saratoga staple, Siro’s, offered up the Ginger Mint Mojito as its “Next Great Saratoga Cocktail” entry. (Previously, we’ve gotten entries from Harvey’s Restaurant & Bar, Sinclair Saratoga, Morrissey’s At The Adelphi and Hamlet & Ghost.) Check out the latest entry from another Saratoga mainstay, 9 Maple Avenue. I wanted to create a Saratoga-themed cocktail, fusing old and new cocktail recipes and adding a little local appeal. With the popularity of “Mule” cocktails and their variants, we recently added a “Buck” cocktail to the menu at 9 Maple Avenue. It harks back to an old, near-forgotten cocktail named the Horse’s Neck, which was simply ginger ale or beer on ice with a twist of an entire lemon. When a kick was required, whiskey (or another spirit) was added, and eventually the cocktail received its name, the Buck. 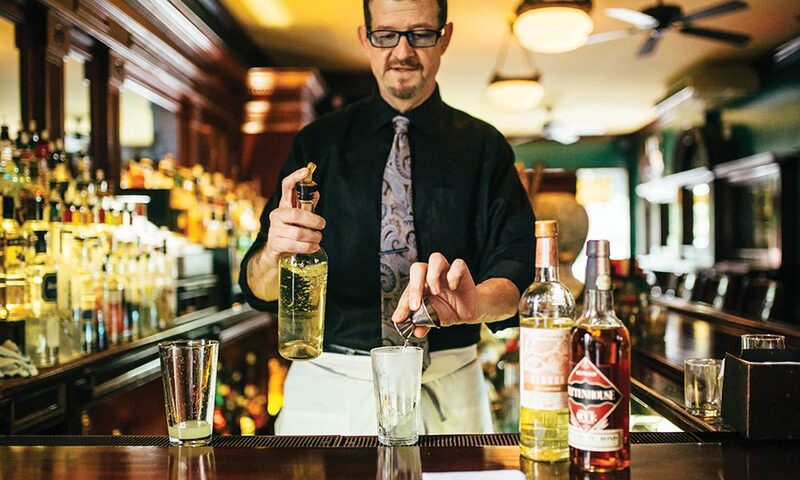 All equine references aside, the Saratoga Rye Buck’s base is rye whiskey because of the spirit’s recent resurgence and its longtime connection to New York State. I went with an overproof Rittenhouse Rye to give the Saratoga Rye Buck a little extra kick. 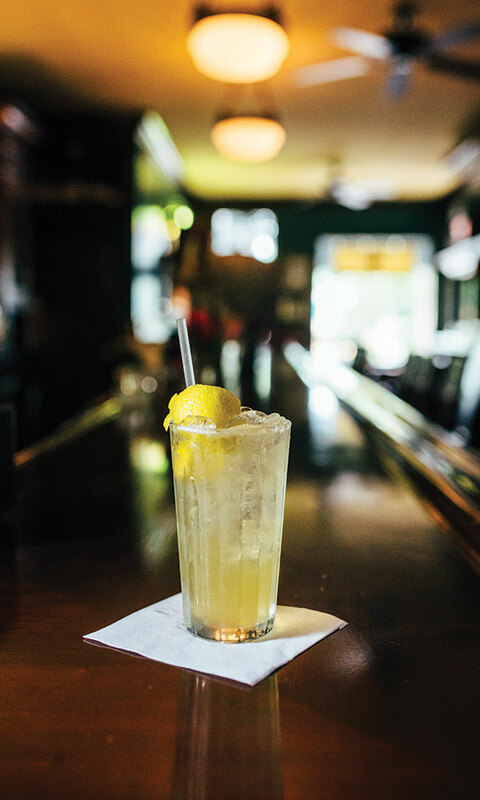 In a 12-ounce glass, add Rittenhouse Rye and Stirrings Ginger Liqueur, along with fresh-squeezed lemon juice and simple syrup. Fill glass with ice and shake well. Top with Saratoga Sparkling Water and garnish with a long twist of lemon. Enjoy!